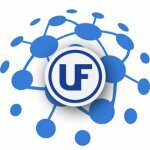 UltraFlex Power Technologies is a growing, dynamic and innovative company committed to design, development and manufacturing of innovative induction heating and casting equipment. We pride ourselves in being a leader in the induction heating technology field. As a Service Engineer, you will be responsible for testing, integrating and installing industrial equipment for new and existing customers. This is an exciting position for an engineer looking to gain valuable experience in testing, integration and installation of industrial equipment. As a service engineer you will work with our customers to install and maintain induction heating power supplies with automated handling and temperature monitoring. You will provide technical support, installation support, maintenance and repair on various electro-mechanical and electronic components. You will be documenting and completing service requests and you will travel extensively to customer locations for start-up and service calls. 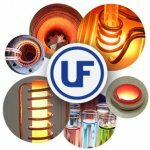 Our team at Ultraflex Power Technologies has been devoted to the design and manufacturing of induction heating and power electronic products for more than 20 years. Our products are the most advanced in our industry and utilize the latest in power electronics technology. They are used in a wide range of induction heating, melting and power conversion applications. You will be a part of a dynamic, creative and innovative company with great potential to grow. Ultraflex offers competitive pay based on education, experience, and other qualifications. We also offer comprehensive benefits including medical, 401K, and more. We are looking for an embedded developer. You will be an integral part of the platform team and will collaborate with our hardware designers and power electronics engineers. Applications will be processed in confidentiality. Only short-listed applicants will be contacted. The submission of personal data is voluntary, it’s processing, use in the recruitment process and safe-keeping will be in compliance with the provisions of the Law for protection of personal data. We are looking for a Financial Controller for our facility in Sofia. If you are interested in this position – please send us your CV. The submission of personal data is voluntary, its processing, use in the recruitment process and safe-keeping will be in compliance with the provisions of the Law for protection of personal data.